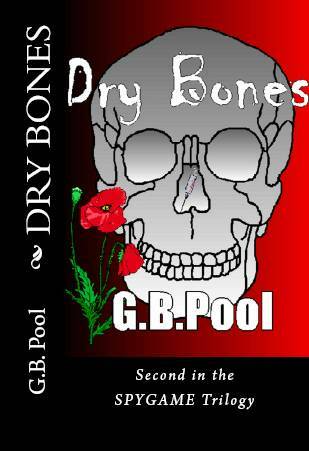 DRY Bones, second in the SPYGAME Trilogy, begins at the 30th high school reunion of a group of people who graduated from an American military boarding school in France. Held in Sin City, Las Vegas, a handful of former friends unearth old memories and old murders. Someone wants to prevent the remains of a former classmate killed in Vietnam from being returned during the reunion. The school was a recruiting ground for CIA operatives who went to Vietnam during the 60s and 70s. Master spymaker Robert Mackenzie and writer Elaine Barton put the pieces of this puzzle together by digging up bones in the catacombs of the old deconsecrated monastery in France where Elaine went to school, uncovering the real story of two mysterious classmates whose father, Etienne LeBlanc, had been a notorious drug dealer, and by discovering the true history of an antique dealer in Saigon who knows where most of the bodies are buried. Switched identities and phony pasts entangle lives from Vietnam to France, all linked by an enigmatic man named Trang Van Quang and a jade Saint.